Google Assistant is a revolutionary technology which was once an unthinkable dream a decade ago. Find out what is it and how to make the most of it. You can turn on the Google Assistant on your Android device. After that, you can make it do tasks, set alarms, create reminders, play some music or make phone calls and much more for you with your voice commands. Initially, it needs some adjustments here and there to be compatible with your voice modulations. But after that, you are ready to begin and say OK GOOGLE! It is a system software that runs on your smart devices- developed by Google. It is a virtual assistant that adapts to your lifestyle in order to make everyday mundane tasks easier for you. In this article, we will lay emphasis on using Google Assistant for mobile devices, for the sake of understanding. The tagline - MAKE GOOGLE DO IT! With overwhelming technical features on your phone to help you make reservations, manage trips, cluster and organize photographs, and so on, sometimes you need a little help in your own world. This is where the Google Assistant promises you to take the burden off your shoulders- so that you have more personal time. If you're bored, it will even entertain you. There's a lot more the Google Assitant can do. With the latest Google Duplex updates, we're expecting even more advancements into redefining the smartphone experience! 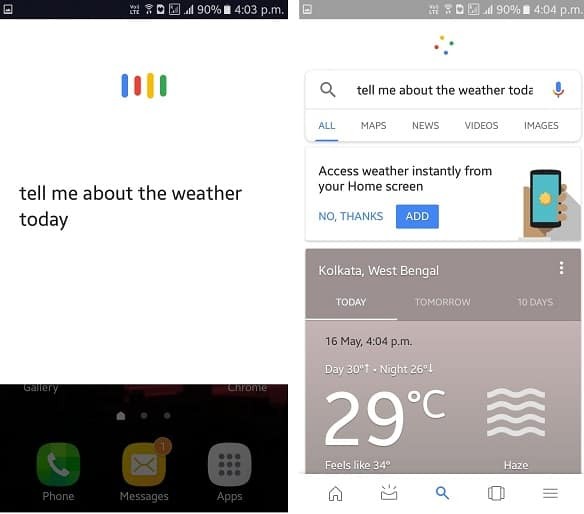 (Read about it here: Google Duplex and Android P will make your smartphone smarter and personal. Ask google about daily commutes, weather details or tell it to make a shopping list for you. Google is fast pacing towards automating everything where only you are in-charge. Ensure that you have an updated Google app installed on your phone. Update the Google application on your device if you haven't already. Now open the Google application on your Android device. Click on Continue whenever prompted. Go to the bottom right corner, to open settings>search language>*your desired language*. This will prepare Google Assistant to work with commands you give in your language. 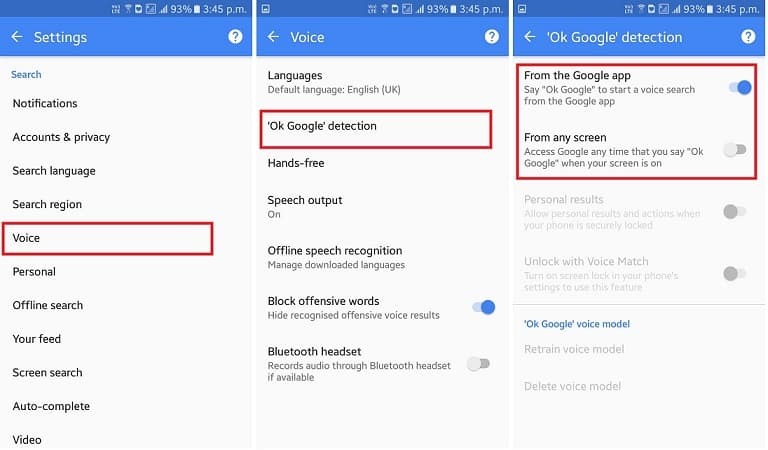 Again from Settings> Voice> OK Google detection turn on the tab for From the Google app if you want your voice commands to be recognized only from within this application, else From any screen if you would like to enjoy the features from any screen of your Android device (even from the home screen). And viola! Google Assistant is now ready to be used by you. Now on to the interesting part where the magic happens. All you need to do is, say OK Google to activate the Google Assistant from any screen. We have listed a few voice commands for you to enter the world of using the technology of Google Assistant. Every time that you would say OK Google, the Google assistant will start listening to you. Simple, right? 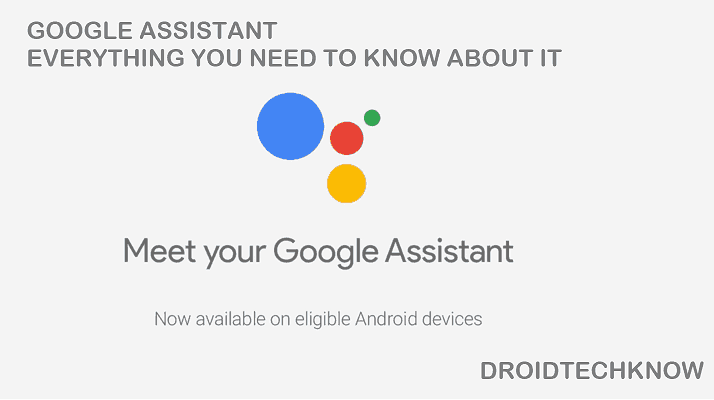 You as a beginner can view the list of commands with which you can get a headstart on Google Assistant. The results will be displayed accordingly. But, continue reading this article for many more voice commands and tricks. Ask google about anything. Ask it about the weather, and it won't disappoint you. Tell Google to remind you about things. If you forget where your car keys are, or if you forget about important client meetings, Google will help you save the day. Simply tell Google to remember what you tell it. It will help you set up a reminder. 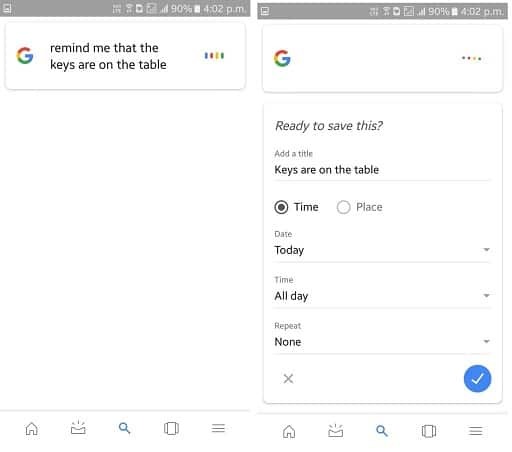 Later you can ask Google, "Do you remember where my keys are?" and Google will tell you. If you want to dismiss this reminder, simply say "Forget that I asked about my car keys." Make Google read out things to you. Just like bedtime stories, Google is capable to (literally) read out things for you. One instance of it is that it can read aloud your regular text messages. 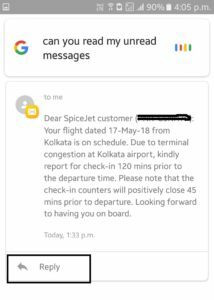 Try saying "OK Google, read my unread messages" and the rest will be done by Google Assistant. You can also ask it to reply to the messages and by speaking the body of text as you normally would. Just say "Reply". Now, this feature is definitely a life-saver for all selfie-lovers. The traditional method requires that you open the camera, and press the volume buttons or the shutter button in order to take a Selfie. Now you need not do even that! 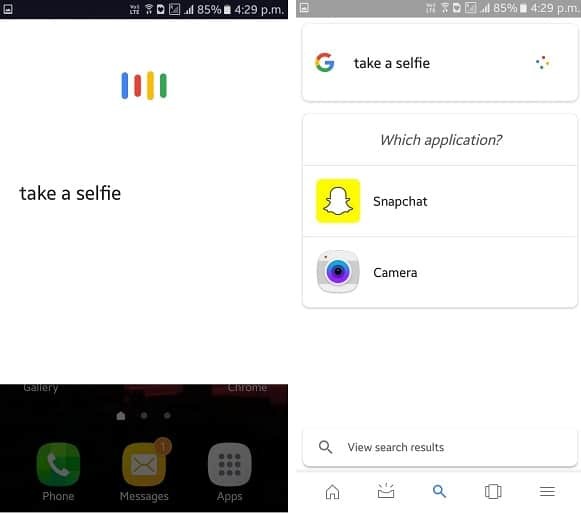 Simply say "Ok Google take a Selfie". The assistant will open the selfie application and make a short countdown, and click a selfie, hands-free! This is just the tip of the iceberg to everything that the Google Assistant can do. It's up to the user to make it run complex tasks or integrate general commands with home devices like the Google Home. As we said, only you are in control! Tell us in the comments about what technologies would you like us to make a tutorial on.